Volume photo scanning made fast and easy for great profit potential. No matter your business or service – retail, funeral home, library, or other customer-centric facility – the possibilities are almost endless for ways you can promote and develop a valuable new revenue stream with your KODAK Picture Saver Scanning System. 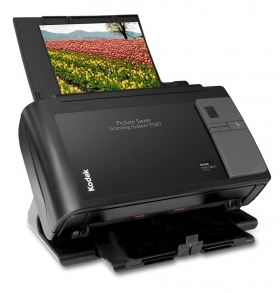 The KODAK Photo Selector Accessory option permits users to extract individual images from a composite image (such as a multi-picture photo album page) and have each image saved as a separate digital file after scanning. Now fragile album pages are protected, and there’s no need to risk damage to photos by taking apart a complete album, removing pictures that may have been in place for years, or even lifting the page protector. The Photo Selector Accessory option requires purchase of a Kodak Legal Size Flatbed Accessory or Kodak A3 Size Flatbed Accessory, available at a very affordable additional cost.